The luggage storage at Zagreb Bus Station is located next to arrival platform 106. 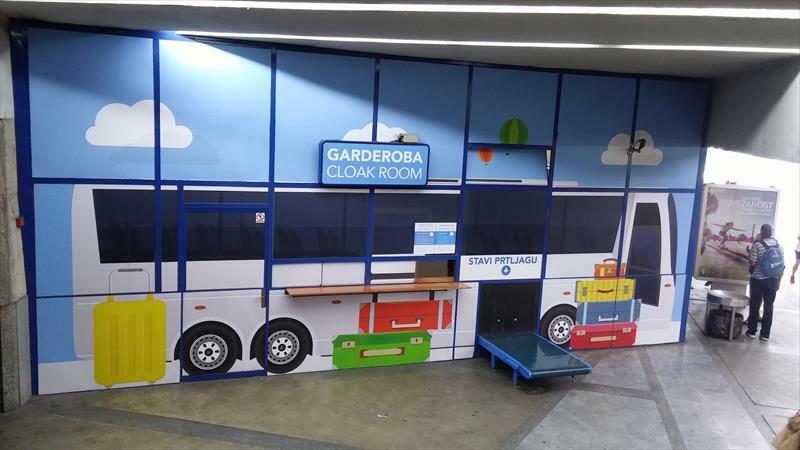 Zagreb Bus Station guarantees for items kept up to 500.00 HRK of their value, Zagreb Bus Station does not guarantee for any damage to luggage not resulting from unprofessional handling by Zagreb Bus Station staff. · In order to store your luggage, you need to present an ID or passport and the luggage must be inspected. · The luggage remains in storage for 30 days, after which it is destroyed in the presence of a commission or given to charity. · Perishable goods shall be destroyed in the presence of a commission. · We are not responsible for stored valuables and cash. Passenger luggage (travel bag, suitcase etc. up to max. 40 kg), until 4:00, per hour and piece. Passenger luggage (travel bag, suitcase etc. up to max. 40 kg), from 4:00 per hour and piece. does not guarantee for any valuables and cash.